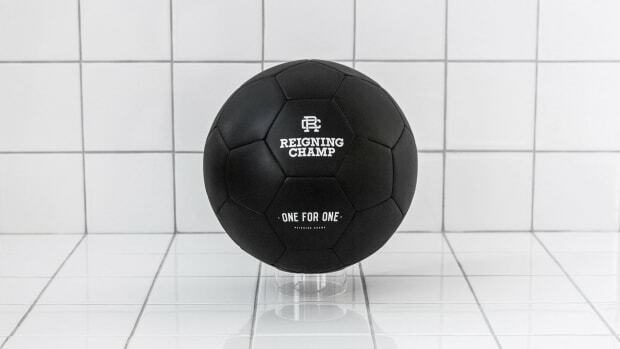 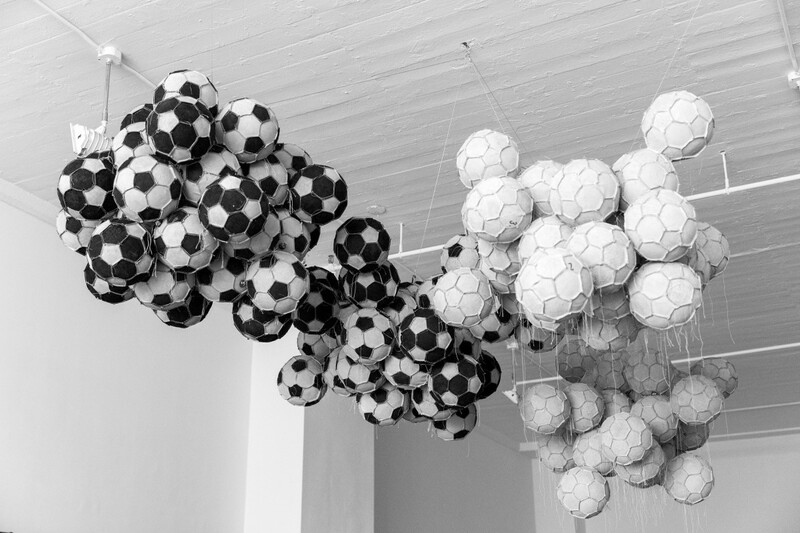 Guatemalan artist Darío Escobar installed a beautiful soccer-focused installation at Reigning Champ‘s Spring/Summer 2019 showroom in New York City. 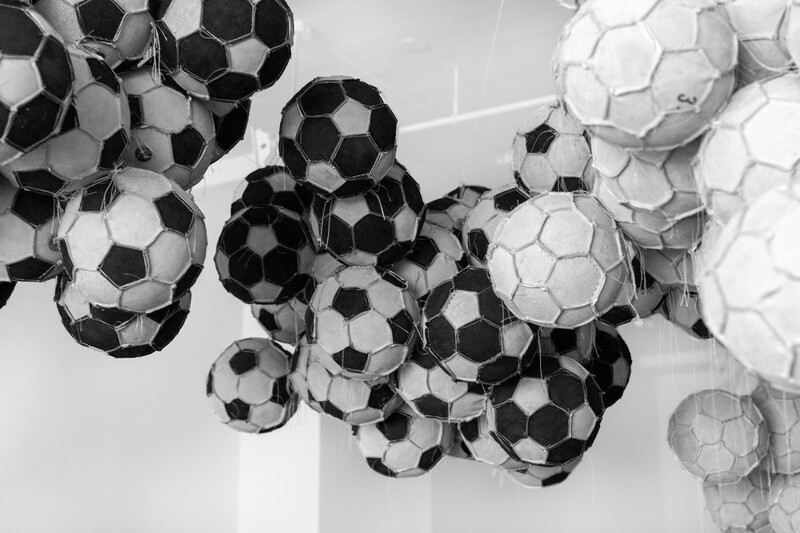 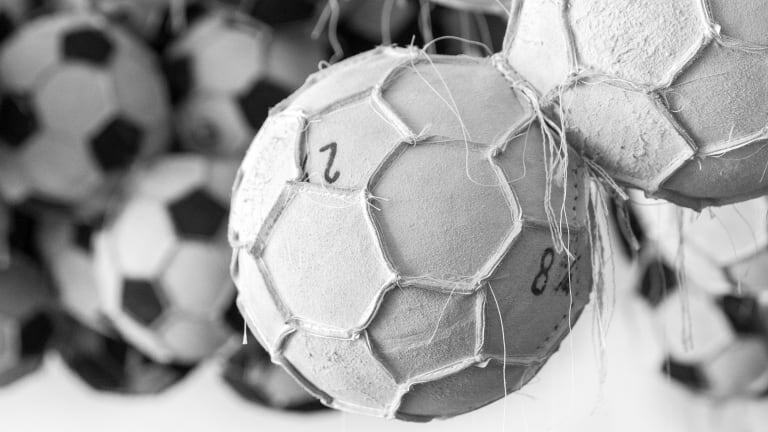 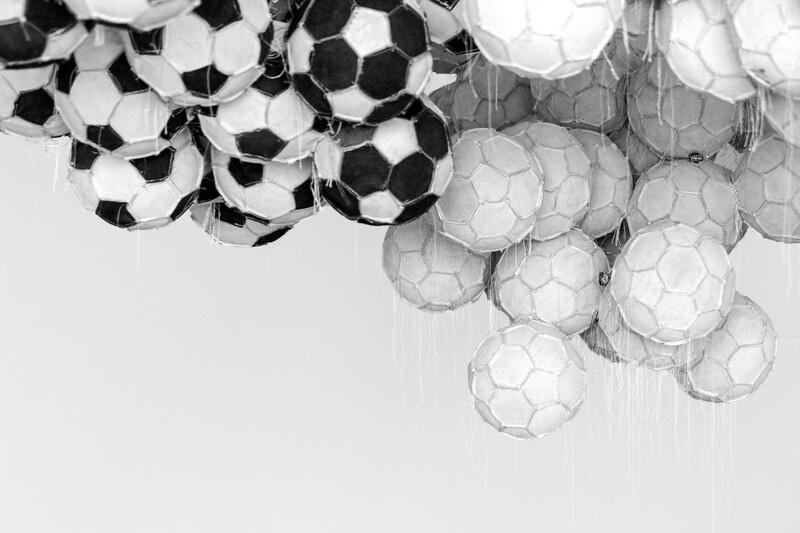 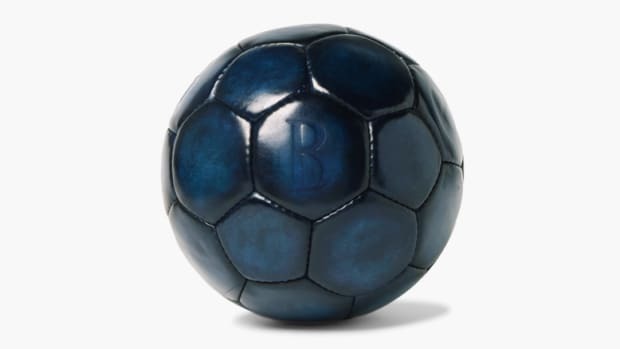 The piece, titled Obverse & Reverse XLI, is made up of 120 floating soccer balls that were turned inside out and then tediously sewn back together, exposing a unique leather texture and intersecting threads. 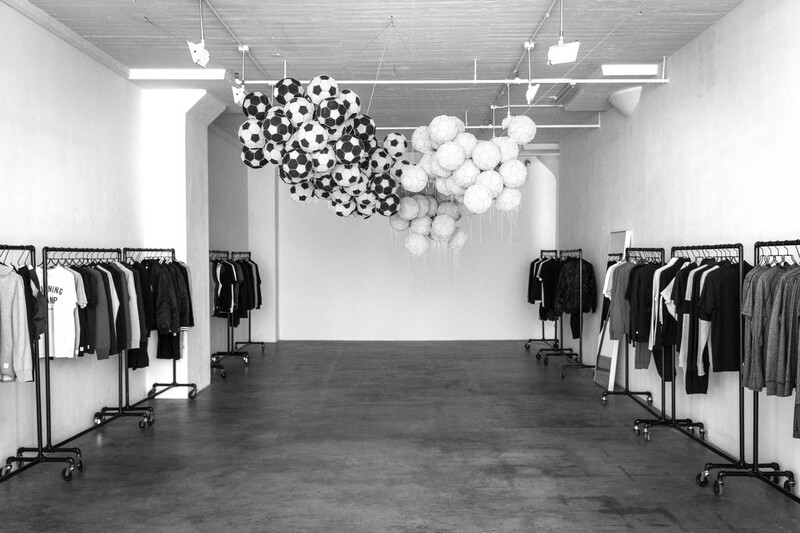 "It's Escobar’s ideas in floating clouds of black and white,” says the Vancouver based label. 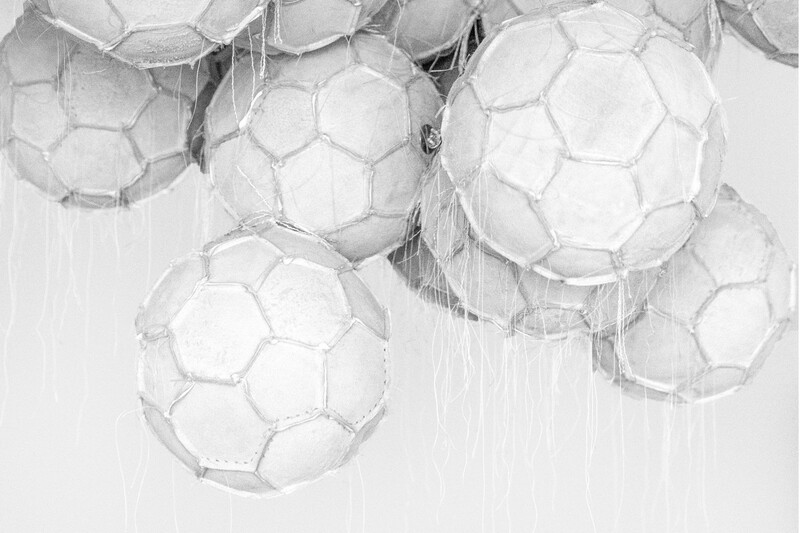 Give the stunning and surreal piece a look below.